Last week Royal Caribbean’s Empress of the Seas departed Miami on her maiden voyage to Cuba. It was a historic day for Royal Caribbean yesterday as Empress of the Seas made her inaugural visit to Cuba as part of a 5-night sailing from Miami. Adventure-seeking vacationers were among the cruise line’s first guests to explore the island country known for its legendary nightlife, iconic music and distinct culture. Guests participated in curated excursions throughout Havana, including rides in 1950s classic American cars to the city’s most famous locales, including the old quarter and the Havana Club Museum. “We’re thrilled to be a part of Cuba’s future, ushering in Royal Caribbean’s next big adventure with Empress of the Seas’ first visit to Havana. 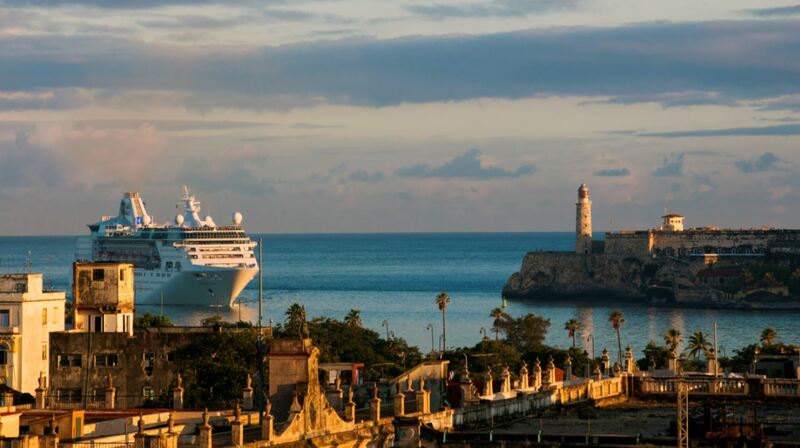 Vacationers will now be able to experience a destination like no other, with authentic and immersive experiences that bring to life the vibrancy of Havana and its traditions,” said Michael Bayley, President and CEO of Royal Caribbean International. The vibrant Cuban culture extends beyond land to the experience onboard Empress of the Seas. From cortaditos and café con leche in Café Royal to salsa music and dancing in Boleros Latin lounge, guests can enjoy a range of onboard activities developed to bring the spirit of the island to life throughout the entire journey. After returning to Miami, Florida, Empress of the Seas will reposition to Tampa, Florida. 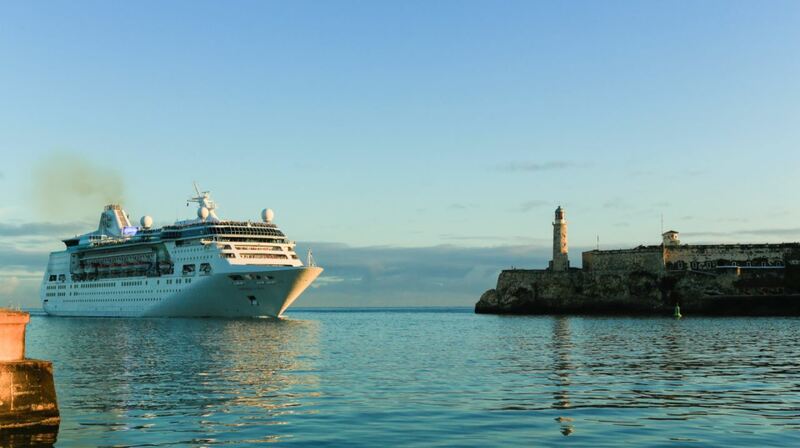 for the summer season, offering a series of four, five and six-night sailings, including day and overnight visits to Havana, along with stops in Key West and Belize City, as well as Costa Maya and Cozumel in Mexico. Sailings from Tampa are available through 4 November 2017 when Empress returns to Miami for the winter season, adding calls to CocoCay and Nassau in The Bahamas. Having sailed for Pullmantur Cruises, one of Royal Caribbean Cruises’ brands, Empress of the Seas received a $50 million revitalization before returning to the Royal Caribbean fleet. The newly revitalized Empress of the Seas spans 11 guest decks, encompasses 48,563 gross registered tons, carries 1,602 guests at double occupancy and features 795 staterooms. Guests onboard can enjoy a rock-climbing wall, pools and whirlpools, an adults-only Solarium, a spa with an extensive treatment menu and a complimentary Adventure Ocean youth program. Empress of the Seas offers a variety of dining options, including the casual atmosphere of the Windjammer Café and fine dining at the brand’s signature steakhouse Chops Grille. In addition guest can stay connected through Voom, the fastest internet at sea.